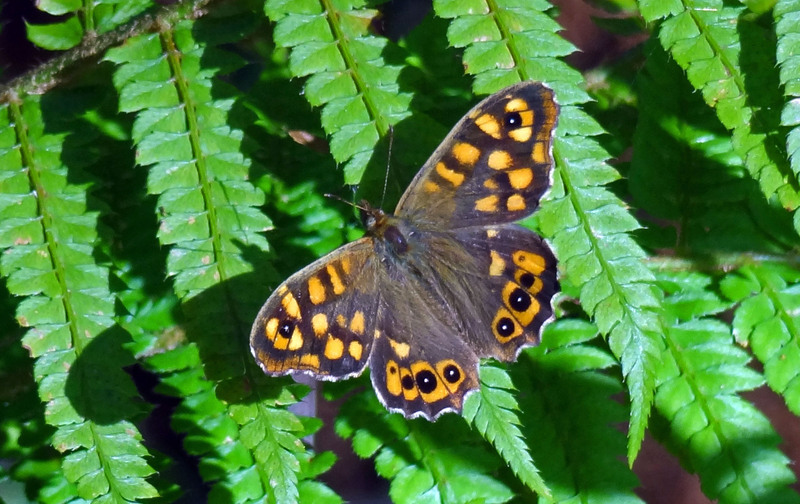 Speckled Wood butterflies, Pararge aegeria, come in a variety of shapes and colours. Perhaps the most interesting thing about this species, is that it varies along a huge gradient (called a cline) from north to south, in Europe. In northern Europe (including parts of the UK), there is a darker subspecies (called P. a. tircis) whilst in southern Europe, a lighter coloured subspecies, called P. a. aegeria, is found. These two subspecies gradually change from one form to the other along a continuous gradient (ecocline). 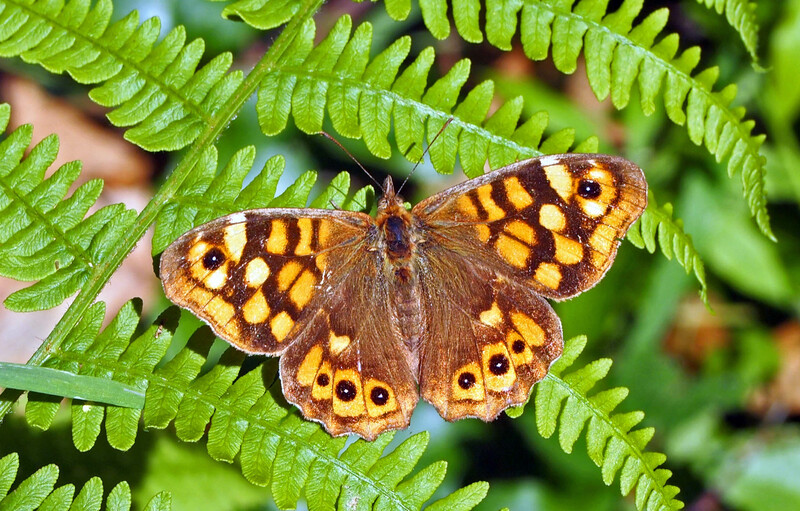 We are lucky to have two additional subspecies in the UK: the Scottish Speckled Wood (P. a. oblita), and the Isles of Scilly Speckled Wood (P. a. insula). 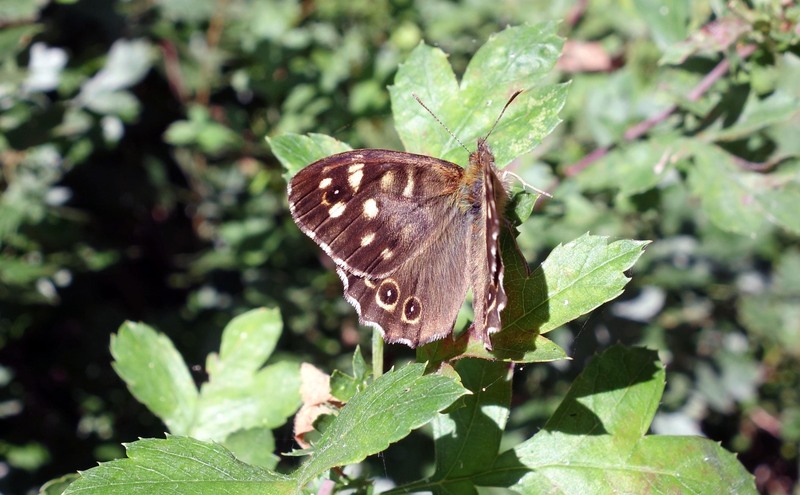 The southern form of the Speckled Wood (P. aegeria subsp. aegeria) looks quite different from the northern one, with patches of orange – rather than cream on dark brown – on the upper sides of the wings, as shown below. Speckled Wood (Parage aegeria aegeria) from Galicia, Spain on 17 June 2013. The southern forms of the Speckled Wood (i.e. Pararge aegeria ssp aegeria) also seem to me to be fairly variable in terms of the colour and brightness of the orange and brown parts of the wing, although some of this variation can be explained by factors such as the intensity of the sunlight and the age (degree of wear and tear) of the butterfly. This one (below) was also taken in northwest Spain (Galicia), but much earlier in the year – 14th Feb 2012 – than the more ‘orangey’ specimen seen above. N.B. some of the tones get altered slightly during processing! Nevertheless, based on the evidence of one photograph (! ), darker individuals of the southern species may be appearing earlier in the year, the reverse of the situation for the northern form in the UK (see above). Something that needs more observations! Speckled Wood (P. aegeriea aegeriea), in Galicia on 14 Feb 2012. Finally, I have one more shot of the more ‘orangey’ type of P. aegeria ssp aegeria from NW Spain (Galicia), this time taken on 2 June 2011, showing a colour pattern very similar to the other one (above but one) I manage to photograph in June in a different year. Speckled Wood (P. aegeriea aegeria), taken in Galicia, Spain on 2 June 2011. 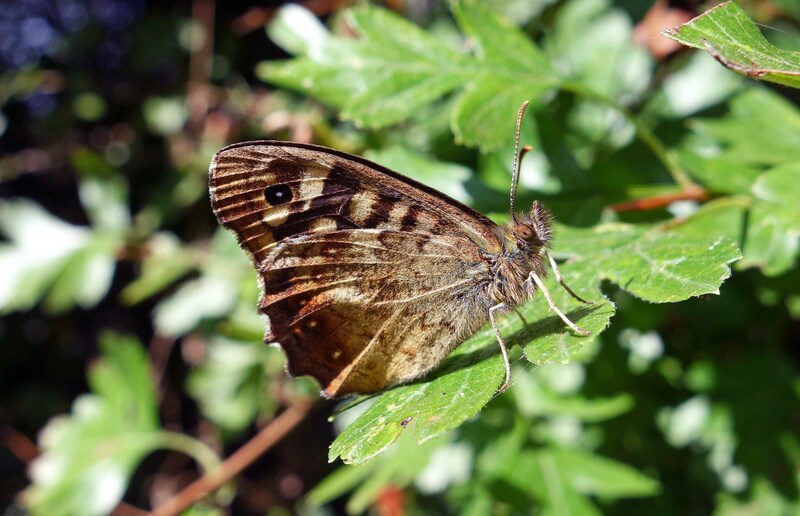 DNA studies have shown that the Speckled Wood – and sister species – originated from North Africa but do not easily cross the Mediterranean (4). 1) NYLIN, SÖREN, PER‐OLOF WICKMAN, and CHRISTER WIKLUND (1989). 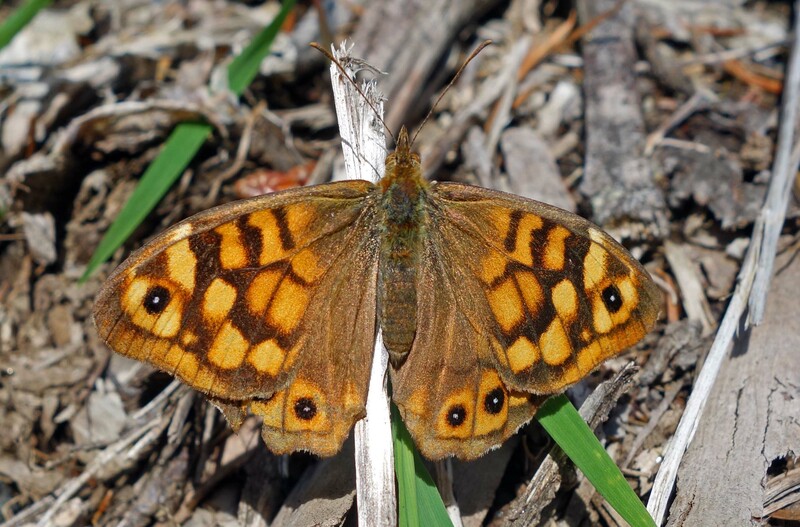 Seasonal plasticity in growth and development of the speckled wood butterfly, Pararge aegeria (Satyrinae).”Biological Journal of the Linnean Society 38(2), 155-171.
flight morphology in the butterfly Pararge aegeria . / Oikos 113: 226/232. 3) Hill, Jane K., Chris D. Thomas, and Brian Huntley. “Climate and habitat availability determine 20th century changes in a butterfly’s range margin.”Proceedings of the Royal Society of London. Series B: Biological Sciences266.1425 (1999): 1197-1206. 4) Weingarter, Wahlberg & Nylin (2006): Speciation in Pararge (Satyrinae: Nymphalidae) butterflies – North Africa is the source of ancestral populations of all Pararge species. Systematic Entomology 31: 621-632. Next Next post: Old blue eyes! Ray Cannon's nature notes Speckled, but inclined to vary!